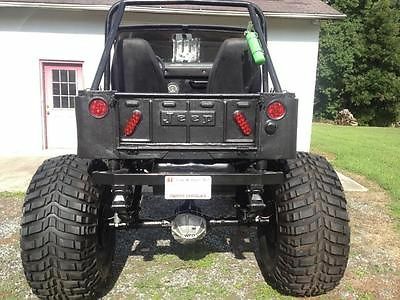 For sale is a custom 1972 CJ5 Jeep. 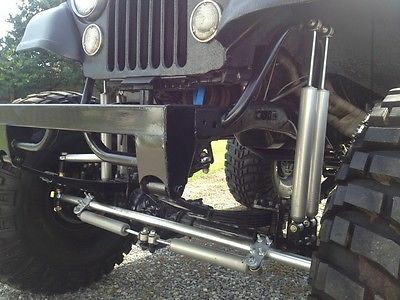 Jeep has had suspension totally customized and built by a professional. Axles are Dana 60 full length axles that have been moved forward and back for stability. There is 2 Pro Comp shocks per wheel that have been custom mounted as well. Dual Pro Comp steering stabilizers up front. The brakes are manual with disc on front and drum on rear. Engine is a 304 V8 with a 3 speed manual transmission. Some custom options include custom tailights, Monsta lined exterior, complete rust preventative covererd axles, frame, and interior. 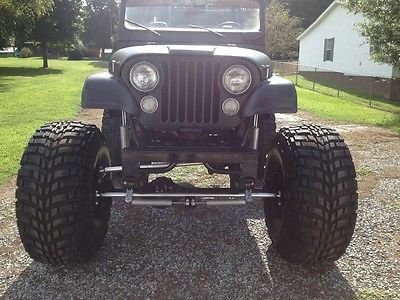 Jeep had about 12 to 15 inches of lift and rides on 46'' Mickey Thompson Baja Claws. Jeep has never been in mud or rock climbed. I drive this Jeep mostly around town but seems to ride smother once you get to 40+ mph. 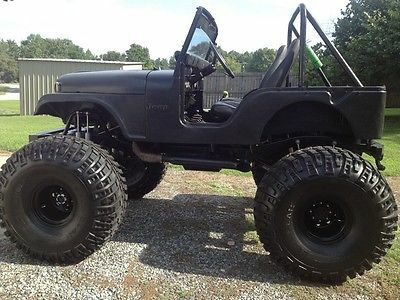 Please note that this is not a restored Jeep, but a nice play toy to cruise around in and attract a ton of attention. Please e-mail or text me at 336-688-5880 with any information and I encourage if you are interested in buying please come and look to ensure this is what you are looking for. Jeep runs fine, but could use a carbureator cleanup to really run flawless. Interior could use some updated gauges and will need a front driveshaft, but I can help with that. NOTE...4 wheel drive does work. I will entertain trades as well, but not really looking for tremendous projects. I can send additional pics if you are a serious buyer. Thanks for looking.